The Light weight Aerozine Narrow/Wide chainring is compatible with 104BCD Shimano and Sram Chainsets. 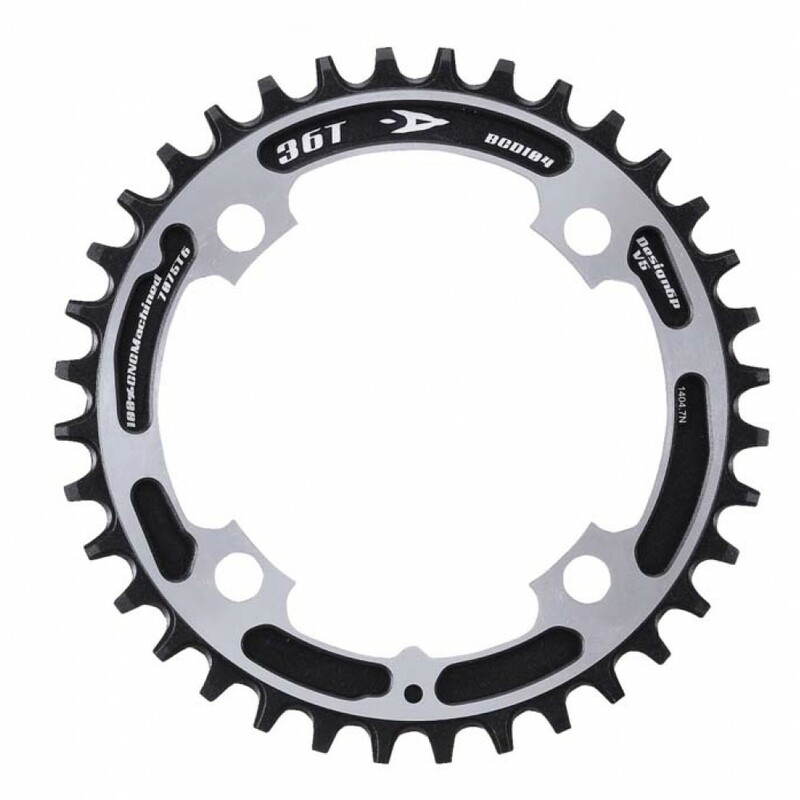 Strong enough for downhill duties, yet light enough for XC whippets, the Aerozine Narrow/Wide chainring is the single ring narrow wide chainring you have been looking for at an amzing pricepoint. Performance enhancing Narrow/Wide tooth profiling enhances chain retention and creates a strong, secure platform to put power through.